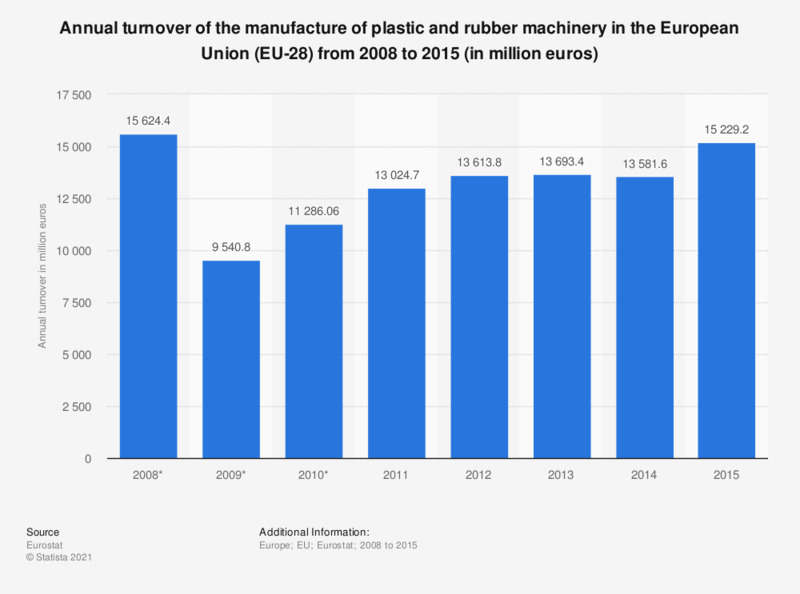 This statistic shows the annual turnover of the manufacture of plastic and rubber machinery in the European Union (EU-28) from 2008 to 2015. Across the 28 EU member countries, the manufacture of plastic and rubber machinery produced a turnover of approximately 15.23 billion euros in 2015. * Data for 2008 to 2010 refers to the European Union 27 countries. Later years refer to European Union 28 countries. Data coverage corresponds to Section C2896 of NACE Rev 2.